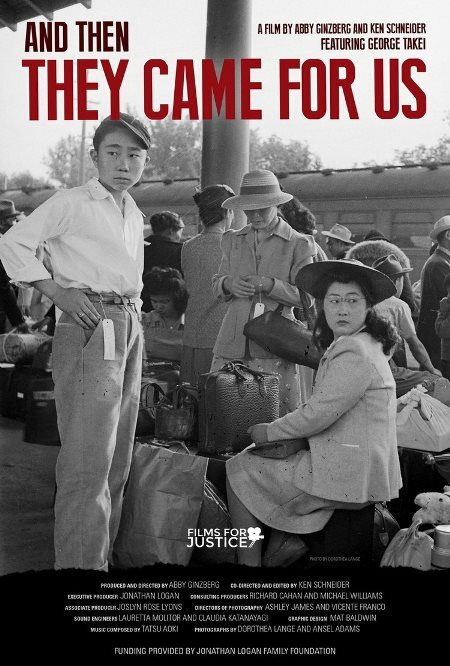 Please join us for an afternoon of learning as we watch And Then They Came for Us, which received the 2018 Silver Gavel Award from the American Bar Association, and hear from the film’s co-director and producer Abby Ginzberg, University of Hawaiʻi Law Professor Eric K. Yamamoto, and John Okutani, Japanese Cultural Center of Hawai‘i - Hawai‘i Internment Team Volunteer, who will discuss the forced incarceration of individuals of Japanese ancestry on the mainland and in Hawaiʻi and why we must continue to protect against suppressing the rights of people of any ancestry. The movie will begin promptly at 2:00 PM. After the movie and panel discussion, please stay for light refreshments and the opportunity to talk story with the panelists and representatives from organizations that are providing legal or social services to the underserved. Tickets are only $35, of which $15 is tax-deductible. Your support of this fundraiser will help to keep alive the important lessons of the past and promote community unity regardless of race or ancestry. We hope that MoveMeHawaiʻi will MOVE YOU. Click here for our event flyer. If you have any questions about MoveMeHawai‘i, please feel free to contact us via email: MoveMeHawaii@gmail.com. Funds raised from the MoveMeHawai‘i fundraiser will be used to provide grants to educate the public about social justice issues, promote community unity, and support organizations providing legal or social services to the underserved. In addition to other grants, selected applicants will also be eligible for a $2500 People’s Choice award voted on by attendees at the fundraiser. We hope that MoveMeHawai‘i will move you and others to act. To keep the public attendance costs at a low enough level to be a family-friendly event and still provide grants to deserving organizations, please consider making a monetary donation or a sponsorship at one of the following levels. Your contribution is tax deductible to the extent allowed by law. All sponsors will receive recognition in MoveMeHawai‘i event promotions, including on our websites and in the event program. Additionally, each sponsor will receive a number of complimentary event tickets (based on sponsorship levels shown below) and VIP seating.